Man, oh man was I excited to find these at my local World Market. 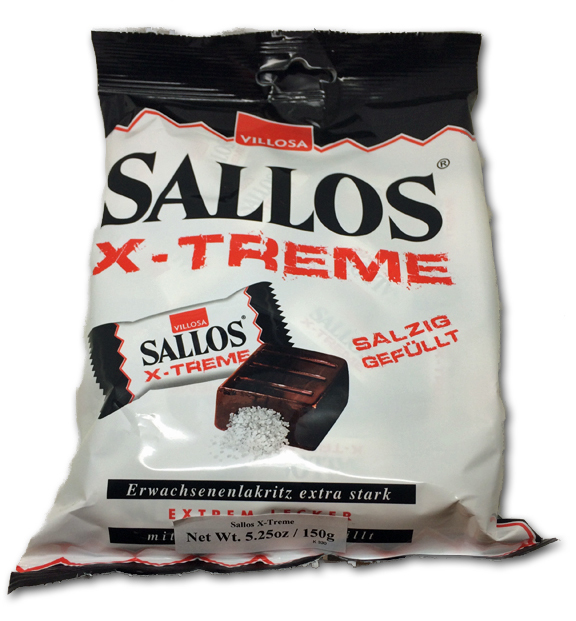 We loves Sallos candy, especially their X-tra cool we reviewed a few years back. 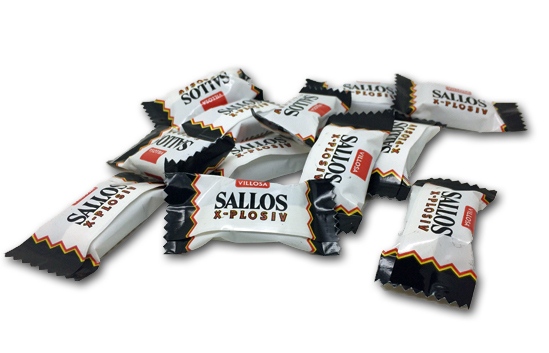 Both of these new bags are riffs on that same candy: a licorice hard candy with some sort of goodness inside. 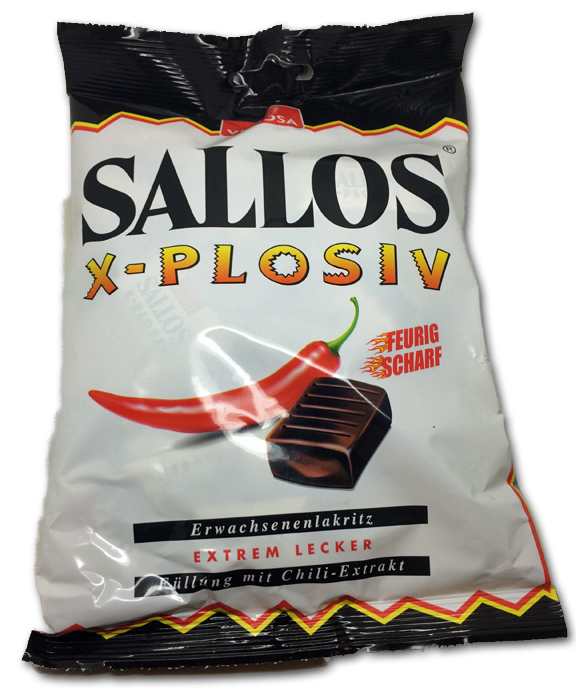 The X-Plosiv is spicy, the X-Treme is salty. Both things I adore, so…again, I couldn’t wait. I’m not going to draw this out: both of these are good. But neither is great. I was hoping the spicy one would be spicier, and the salty one would be saltier. 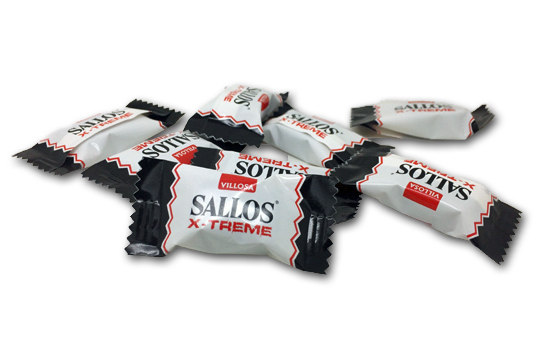 As is, they don’t taste extremely different from another to me, which doesn’t make them bad per se, but I definitely prefer their minty cousin by a lot. unless you’re a licorice addict who needs to try every variety you find, I’d say these are both ok to skip. 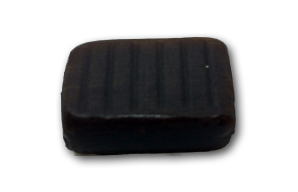 Happy’ licorice haters? YOU WIN THIS ONE, BUT THE WAR IS ONGOING, NNNKAYYYY?